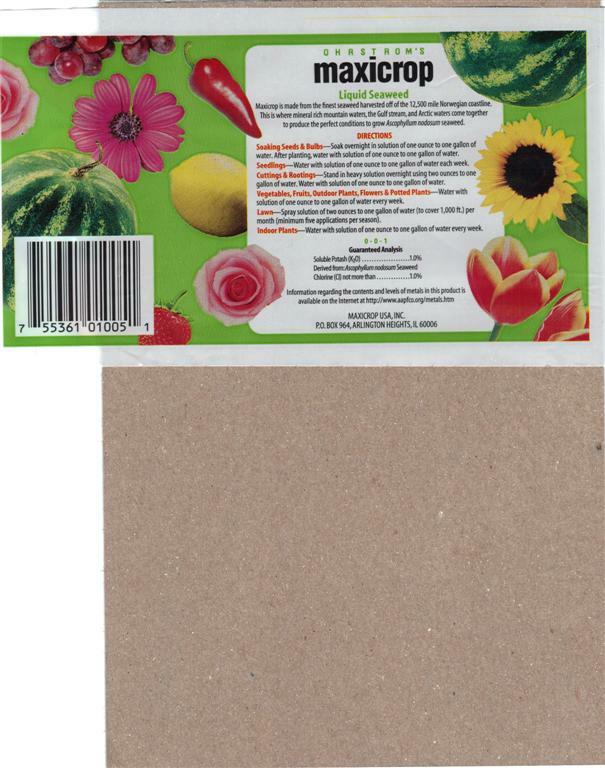 This is one of the main supplements that gets used in aquaponics. Seaweed extract. It contains potassium and trace elements that are safe for fish and can help get a new system up to speed on the things that are not going to be provided by simply fishlessly cycling a system with pure ammonia. The seaweed extract doesn’t provide enough nitrogen to risk overloading the bio-filter which is why it is generally quite fish safe. It doesn’t take a whole lot, a cap full or splash per growbed (depending on the size of grow bed) is about all that is needed per dose and dosing might be once a week or once a month and less often once a system is well established unless plants show signs of needing more potassium or trace elements. Sorry, I’m no longer carrying the Liquid Seaweed. I do have a powdered product that is listed for Organic production. 8 oz bag for $12.35 (which will make more like 8 gallons of liquid) and can ship for less. Please contact me if you would like to purchase. I can send you a paypal invoice. Sorry my web site needs a major overhaul and I’ve not had time to deal with it yet. Hey. It’s been a couple of years, but I finally got my system built. I’m having trouble with the pH so that cascades into other problems. The nitrates are low so I’m thinking the bacteria are not up to snuff yet. In the meantime I need some food for the poor plants who are struggling valiantly. It seems you mentioned someone’s name at the Aquaponics convention in Orlando who was local and who should be avoided. Do you remember who that was? I live in Ormond Beach and drive to Orlando every other Saturday. Would it be convenient to stop by your place sometime to look at your towers? What do your other water tests say? (If you have ammonia and nitrites showing up then yes it could be a bacteria problem) What is the pH? Hi or Low? How many fish? How much seaweed extract you need kinda depends on how much grow bed you have as well as other factors like your source water, fish feed and how mature your system is. 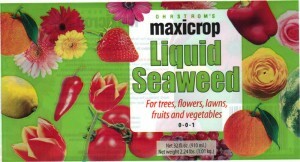 To start off I would say add a tablespoon full to a shot glass full to the grow beds where the water enters the bed. Expect the extract to tint your water. If the water turns really really dark, use less next time. If the water doesn’t really change color at all after the beds have cycled through a couple times, you can probably add a bit more. In the early days with a system you might add a bit of extract weekly but once your system matures you might only add it monthly or when plants start showing signs of potassium deficiency. I have started an aquapoanics system here in Mexico and I would like to use some maxicrop on it. I wonder if you could ship it here and how much would it cost? I would like One Quart botle. 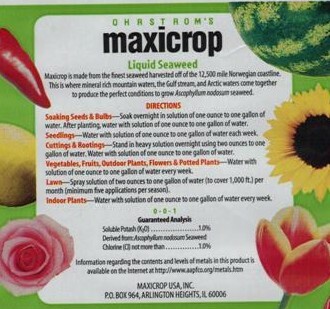 Maxi – I am in Tx and having a difficult time with my aquaponics and the heat. My greenhouse is 10×15 with 10 foot ceilings. I have a 50% shade clothe, fan in and exhaust fan out. The temperature is still close to 100. Any recommendations? Thanks for your help. Only 100 in a greenhouse this time of year? Take the plastic off for the summer. Maybe only leave the plastic over the roof if you are in a heavy rain location. Fans and windows/doors are not enough in a sunny subtropical climate. Roll up sides and open ends as well as a complete ridge vent in addition to fans and shading are needed in a HOT climate. If your climate is dry, some evaporative cooling might help. It isn’t usually a good idea to post your e-mail address on an open site. Maxi if you post back that you want me to, I will e-mail you gonzalo’s e-mail address.